I wondered who was going to be first off the blocks with a Foursquare World Cup promotion! 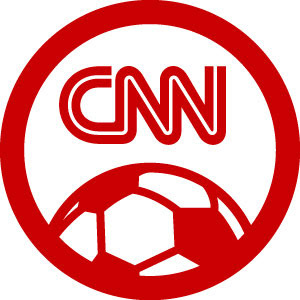 It's CNN; check in at a number of venues in South Africa, Australia, the US and the UK, and get a special badge. Users who go to South Africa will get a 'South Africa Explorer' badge (above), users who check in elsewhere will get a 'Super Fan' badge (below). London venues include The Freemason's Arms (where the FA was founded), and - um - The Walkabout.